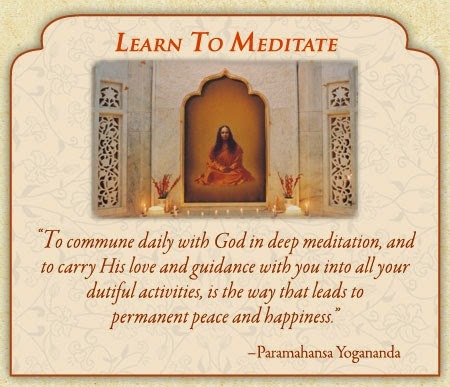 and confusion of devotees who thought they were following Yogananda's spiritual path. They were not. They were swept up in the obsessions and unstable whims of a wannabee guru JDW. His real power was his ability to manipulate others to fulfill his own personal ambitions. This goes on a lot in the field of religion in this world - devotees beware. On those pages you will find the true story about a monk whose obsession with power and narcissism disillusioned & Harmed many devotees. "It is so easy for a great talker and smooth operator to smile and talk about religion even though such a charismatic person is an empty shell." I refer here not to the bricks and mortar of an institution, but of the true spiritual quality and fidelity of Paramahansa Yogananda's spiritual community through His YSS/SRF everywhere. And of the high spiritual standards of the leadership and integrity that devotees have known. This article is on this site to show what can and does happen to so many seekers who are misled by wannabe teachers. The following data is a cautionary tale for all those looking for a spiritual teacher. It is not so easy to tell the real ones from the wannabees. If the "living Guru" has passed on, one can safely study his life and teachings without personal influences and hopefully make a proper connection with His path - SRF. Kriyananda (who was not a swami when he passed on) and his timely removal from SRF in 1962. There are other organizations with their own agendas in this world.Some will use the name Paramahansa Yogananda, or show his name on their books, and even publish some of His outdated editions, but may not truly represent Him or His teachings and Legacy as he taught. Available on DVD with subtitles in about 8 languages. go to above link.